Downtown STL Inc. has established a Clean Team in an effort to contribute to the beautification of the Community Improvement District (CID), through an aggressive sidewalk and street level cleaning program. 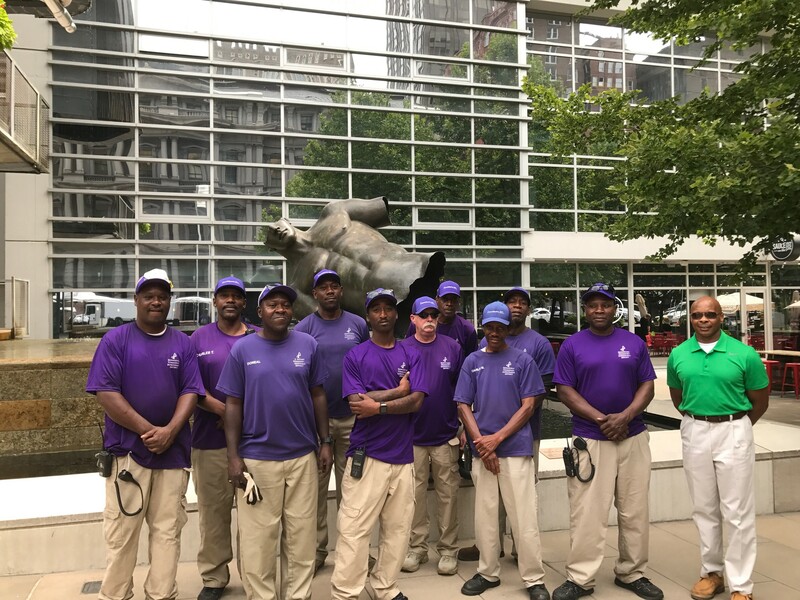 Clean Team members, dressed in purple and khaki, walk the streets of Downtown, St. Louis, to make sure we maintain a clean and inviting appearance to all visitors. Some of the duties the Clean Team may encounter are: debris clean up on streets and sidewalks; graffiti and handbill removal from first floor buildings; power washing sidewalks; clean up after special events (Parades, Sporting Events, Festivals, etc. ); and also cleaning and maintaining the Old Post Office Plaza and Downtown Bike Station.